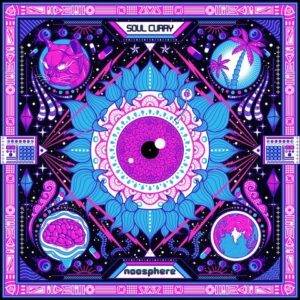 Soul Curry is the third release from Noosphere Network, India. This auditory delicacy is an amalgamation of 14 different minds from within India, all coming from different subcultures, experiences, aesthetics, and understandings of sound. Soul Curry is the first full-length compilation intended to archive and explore the nascent Indian downtempo scene, through the discovery of emerging local artists. This release is also garnished with two bonus ingredients in the form of tracks by EurythmY and wAgA wAgA, both from the U.K. Mastering by Saxon Higgs and Artwork by Kidsquidy.